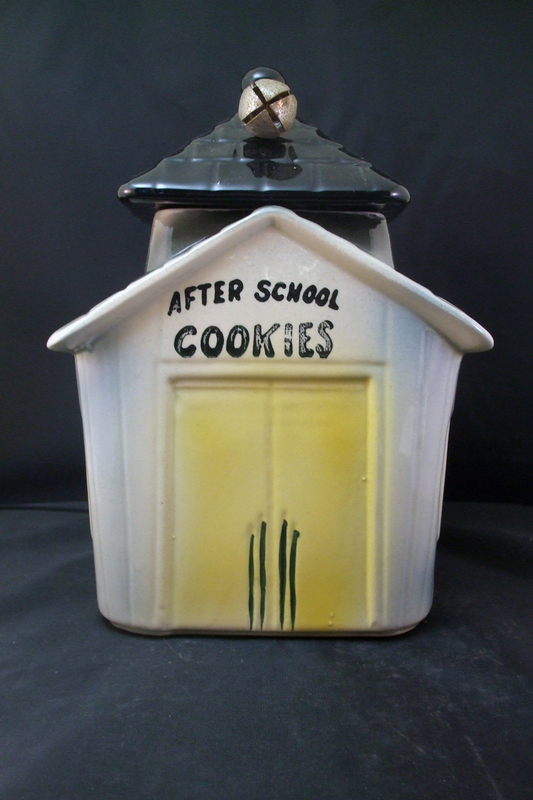 There was a time when cookie jars were a fixture in American kitchens. Most of us of a certain age remember raiding the cookie jar and some of us suffered the consequences. 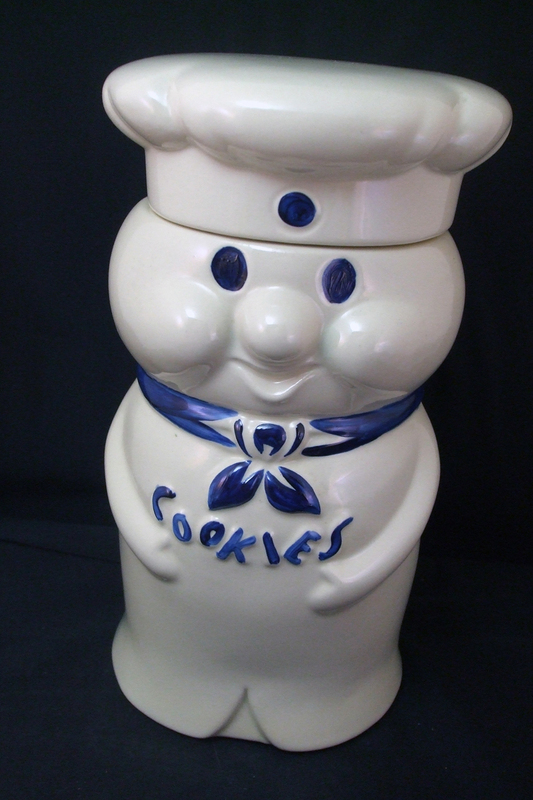 The golden age of cookie jars in America ran from about 1940 to the 1980's. 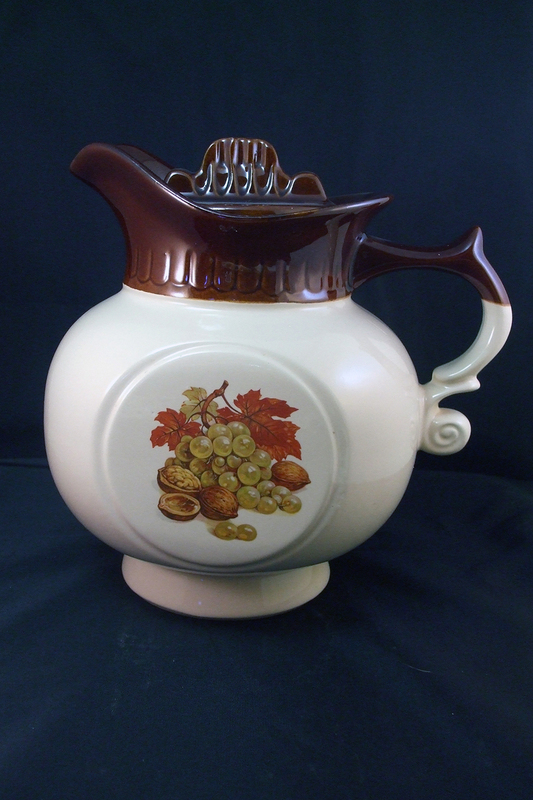 Companies like McCoy Pottery, American Bisque, Shawnee Pottery and Red Wing Pottery were among the most prominent and prolific makers of cookie jars during the period. Sit back, relax and take a look at these good old American cookie jars. Pick one up for your modern American kitchen. Just add cookies and watch the kids drop the IPod in favor of raiding the cookie jar! Stoneware and ceramic cookie jars are a uniquely American form of art pottery. 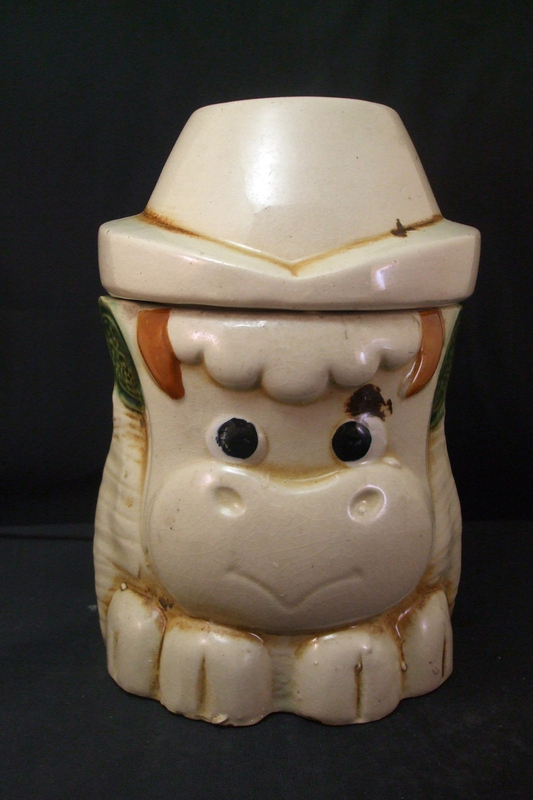 Many of the major American potters made them but no pottery produced more cookie jars than McCoy pottery. 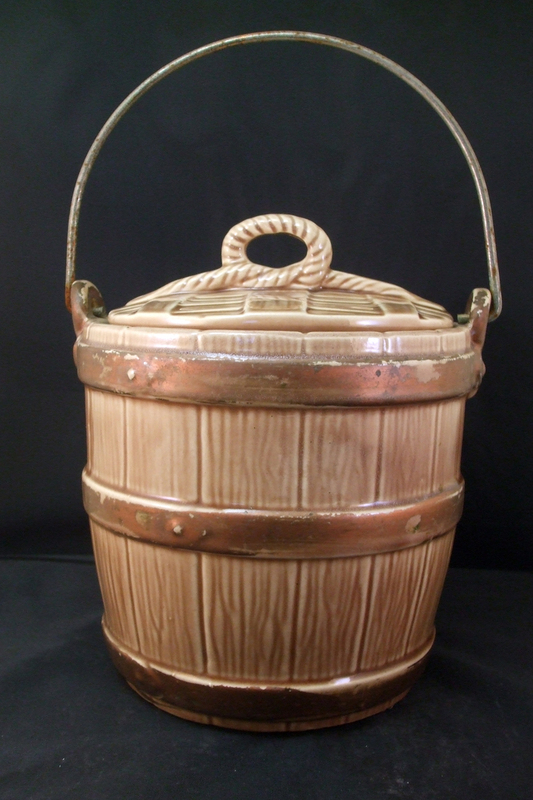 The first ceramic cookie jar was made at the Brush Pottery Company in Zanesville, Ohio. Brush Pottery eventually became Brush McCoy Pottery and then McCoy Pottery. 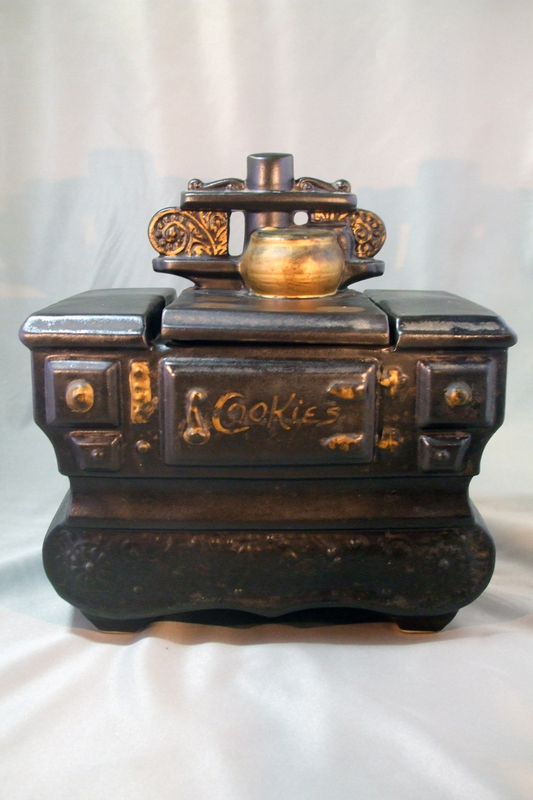 The first simple green jar with the name "Cookies" on the front started a trend in the pottery world that led to the production of a wonderful array of figural cookie jars. 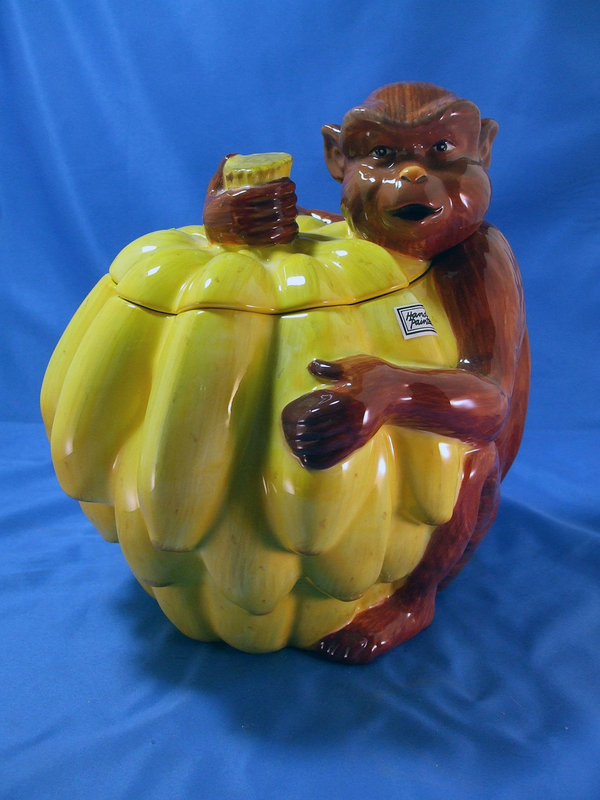 Since the 1930s, American cookie jars have reflected the trends of the times. These cookie jars reflected American life and values in a unique and useful way and they were very popular kitchen decorations. 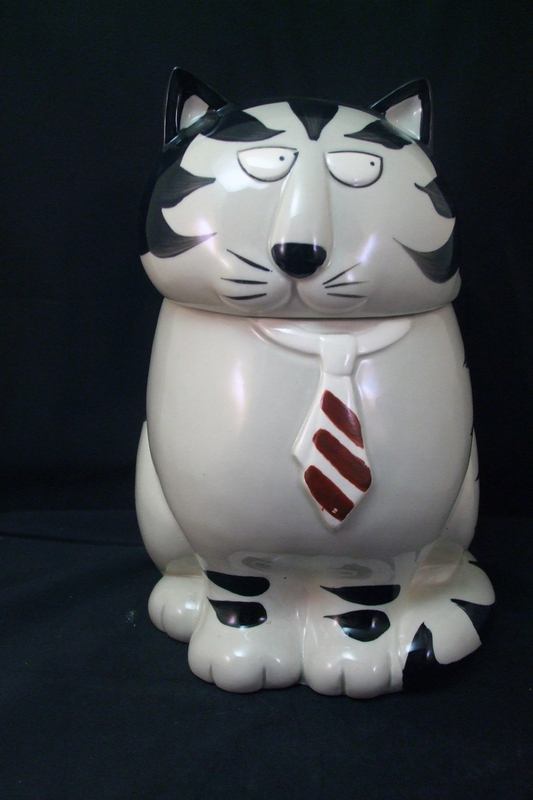 The most prominent period of American cookie jar production was between 1940 and 1980 and cookie jars from this period have become very collectible today.